Webhooks - URLs you expose to handle callbacks - are pivotal to harnessing the power of Twilio in your web application. A powerful concept, webhooks also happen to be very easy to create in your ASP.NET MVC Project. We'll prove it - let's expose some webhooks in ASP.NET MVC and receive some text messages! For one webhook example, when receiving an SMS (text) message, Twilio will call your application with data describing the incoming message. The same process applies for Programmable Voice, Programmable Chat, Programmable Video, and the other Twilio APIs. This guide will walk you through setting up a basic project for handling incoming webhook requests in your project. The screenshots in the steps shown were made with Visual Studio 2015, but the process is much the same in Visual Studio 2013 and 2017. Name the project and solution to suit your needs. 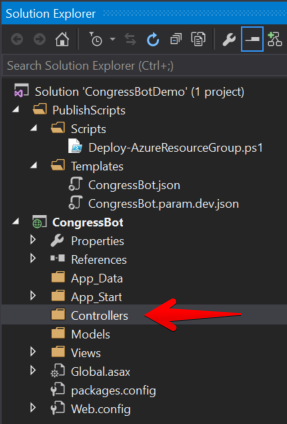 An "Empty" project is all you need if you will only be handling webhook requests, but be sure to select the MVC option for adding folders and core references. Finally, select “Host in the cloud” if you want to be able to easily publish your app to Azure. Twilio will need a publicly reachable URL to which to send requests and hosting in Azure fits this bill. At this point you will need to login to your Microsoft Azure subscription. Once you’re logged in, you must enter a Web App name that will be globally unique (you will get a green checkmark once you’ve selected a unique name). Keep track of that name for later, as it will be part of the URL for your webhook. You will likely need to create a new App Service plan and Resource group, unless you’ve already been deploying your own Web Apps to Azure. You can select whatever Region you like and a Database server based on whether you will need one for your app. If you will just be calling other API's, then you likely do not need one. To finish off the framing of the project, you need to install a few dependencies via the NuGet Package Manager. This can be most quickly accomplished using the Console, which you can reach by choosing the Tools menu, NuGet Package Manager, and Package Manager Console. To explore how to handle webhooks in ASP.NET MVC, this guide will use the Twilio Programmable SMS product. When Twilio receives an SMS message at a phone number that you own it will call your webhook. 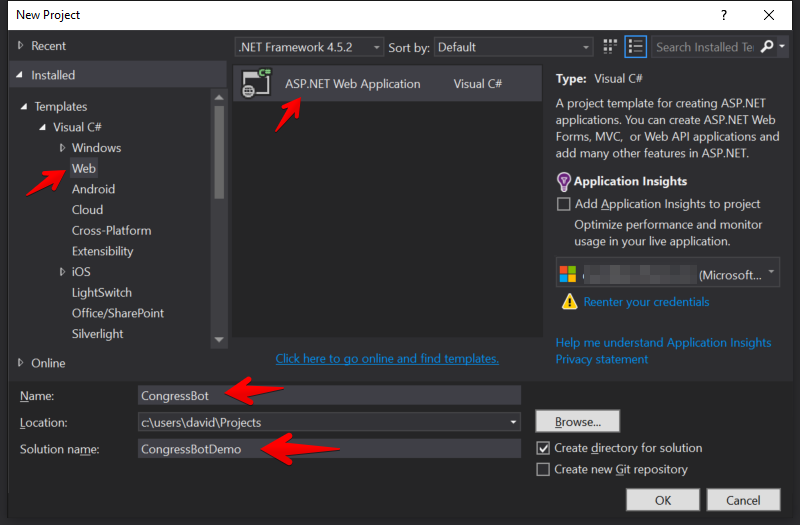 We can listen for this webhook using an ASP.NET MVC Controller. The SmsRequest class is defined in the Twilio.AspNet.Mvc library and will contain all of the deserialized parameters that Twilio will pass to us. If you were responding to a voice call, then you would use the VoiceRequest class. Twilio expects your webhook to return TwiML (XML), but you don’t need to code the XML by hand. You can make use of the MessagingResponse and VoiceResponse classes (from the Twilio library) to build a TwiML response programmatically. These classes contain methods corresponding to the TwiML verbs that Twilio understands. Example ASP.NET MVC Action that responds to a Twilio SMS webhook. After adding the “Hello World” message, call the TwiML function provided by TwilioController. 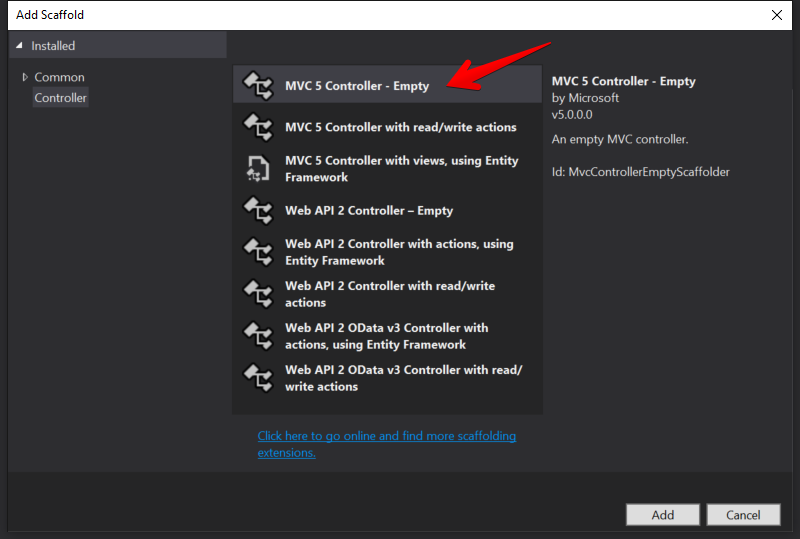 This is analogous to calling View(myModel) in a typical ASP.NET MVC controller action. Replace the XXXXX with the random port number that Visual Studio assigned to your web app. You can find this in the URL when Visual Studio first launched your app in the browser. Change HelloWorld to whatever you named your controller (without the Controller suffix). (Want more detailed information on using PowerShell with HTTP Requests or Twilio? Try our guide to sending HTTP Requests with PowerShell). 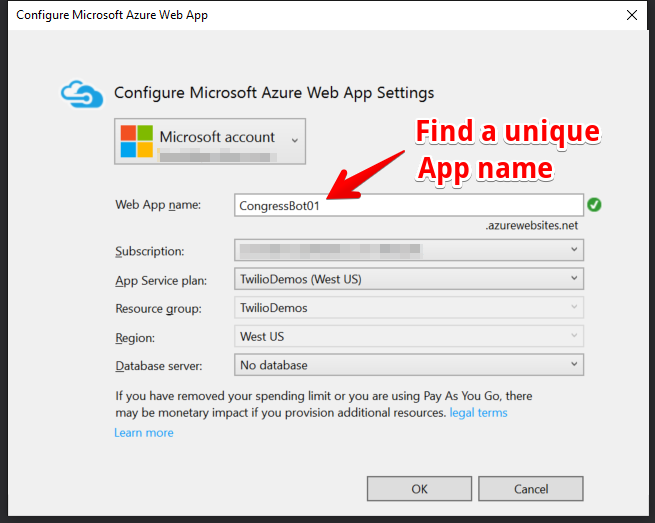 Replace yourapp with the name you selected for your Azure Web App and HelloWorld with the name of your controller. 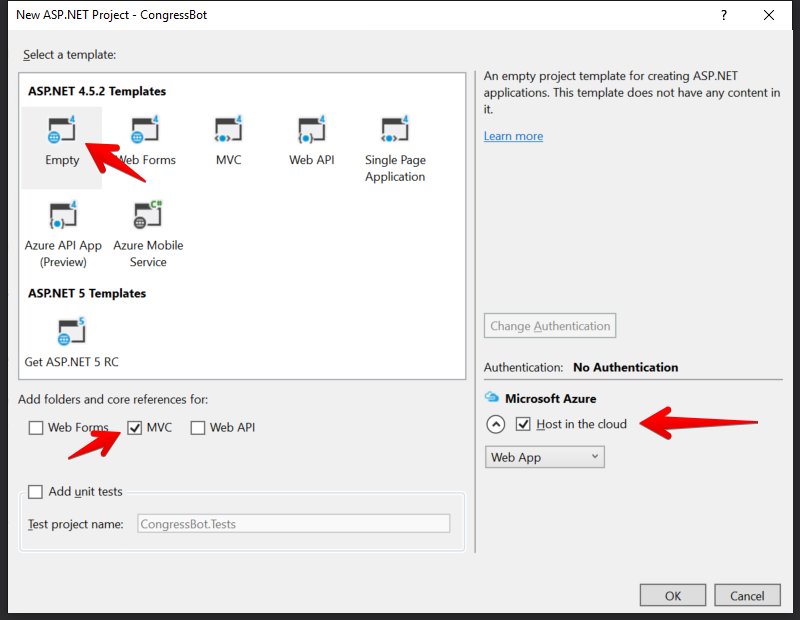 Use the same URL for your Azure Web App that you tested in PowerShell earlier. Be sure to click the SAVE button to save your configuration for the phone number. This walkthrough should get you most of the way down the path to handling webhooks in ASP.NET MVC projects. For more in-depth examples, see the complete applications for a variety of Twilio use cases that are documented in our Tutorials.